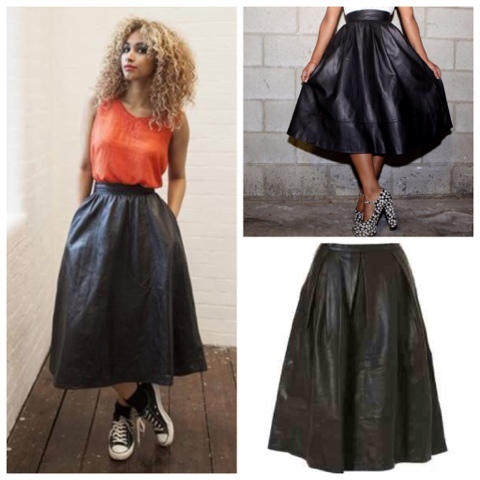 I've been looking for a full leather midi skirt for a few weeks now but sadly haven't had much luck in finding one. I did see a few on eBay but unfortunately everything I liked was either small or extra small. Ive asked a lovely friend of mine if she could help me out, I thought that she'd be just the person for the job as she's one of the stylist for the online vintage boutique DollsMaison they often have lovely one-off pieces, I'm hoping that she will have one in stock in my size. 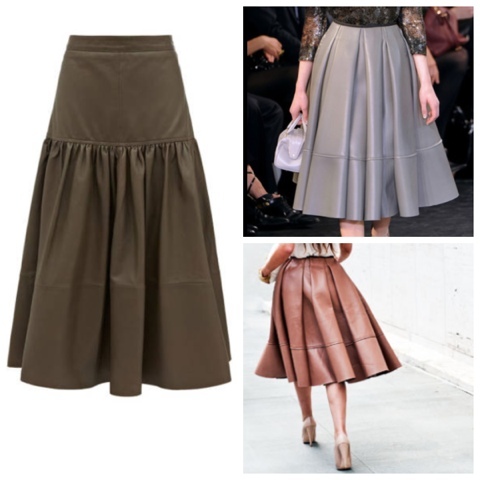 What I love about the Leather midi skirt is that it looks just as good dressed up as it does down, it would look Cool with Converse and a vest or chic and sophisticated with heels and a blouse. Once I get my hands on one I think I'll get more wears out of it if worn casually than dressed up. So what do you think, Yay or Nay for the Midi skirt?